Celebrating the Second Chapter of our lives with books, wine, chocolate and musings. Proof positive that an optimal attitude will lead us on a joyful journey of a life well lived. D Take the children in your life on a magical journey where friends are made in unexpected ways. Danny the Dragon "Meets Jimmy” by Tina Turbin is the perfect vehicle for whisking children into a story and feeling part of all that is inside. Whimsical and colorful illustrations paired with great writing make this book a must- have on any parent, grandparent or classroom bookshelf. We are introduced to Jimmy’s family enjoying a fun day at the beach when a discovery of a special shell with unlikely inhabitants leads them all into an adventure of special friendships. Children are taught through Danny the Dragon and his sidekick Skipper, that friendships can be forged with those different than us. A bonus is that Danny is the most well-mannered dragon I’ve met in my readings! I 'm an elementary school substitute teacher who recently had an opportunity to share this book with a classroom of enthusiastic Second Graders. Their verdict? All thumbs up! • Pleasantly surprised that parents would be accepting of Jimmy’s unusual friends. • Amazement that Danny and Skipper live in a sea shell. •Curious of what else is in that shell? I told them let imagination be their guide! • In awe of how Danny and Skipper fit in the shell. The accompanying DVD enhances the book experience. Viewers are treated to vivid illustrations and the voiceover spoke in a clear tone at just the right pace. A big bonus is the words are “spoken” for the deaf via a sign language interpreter. This is a spectacular feature for hearing and deaf viewers, alike. "Danny the Dragon Meets Jimmy" book, "Danny the Dragon DREAMS" CD and "Danny the Dragon Meets Jimmy DVD are a permanent part of my substitute teaching tote bag, and I eagerly anticipate sharing Tina Turbin’s brilliant work with many more children. The key to knowing if a book is a success, is did the author leave the reader wanting more? Congratulations, Tina, the children I read your book to want to know where Danny and Skipper are going to next! Ms. Turbin is generously giving Chapter Two readers a chance to win their own autographed copy of “Danny the Dragon Meets Jimmy”. Update: Congratulations to Heather for winning "Get Fit in 20 Minutes Twice a Week!" by Jorge Cruise. Thanks to all entrants for stopping by Chapter Two! Stay tuned for our next book review. We are switching gears to fiction . . . or is it? You'll decide for yourselves! Jorge Cruise is the carpenter of belly fat DEconstruction. He is a highly skilled craftsman helping us hone and chip until we have a recognizable body shape. He shares his trade with readers through tools he has mastered throughout the years in The Belly Fat Cure: Discover the New Carb Swap System and Lose 4 to 9 lbs. Every Week . With ease did this reader grasp what he is saying: hammer away at your sugar and carb intake. Cruise cuts to the chase in the beginning of the book. Many other self- help books have you reading along so we can get the BIG FIX at the end. That’s if the author didn’t lose us along the way. Thank you, Mr. Cruise, for getting your point across early on. OK, you are saying “I already knew that, so what?” Here’s where his research becomes our gift. He swaps out our favorite guilty pleasure food and drink with a healthier alternative. I worried at first about the foods NOT listed in the book. I realized that Jorge Cruise trusts us enough to realize we can become instinctive once we absorb his advice. There are tons of swap out suggestions. Here’s just one example that hit home with me. I’m a substitute teacher and since I never know when I’ll be working, I stock up on convenient Lean Cuisine. One of my favorites is a Flatbread Melt. I was of the mindset that Lean Cusine equals a safe haven. Oh, contraire, my readers. This is too high in sugar and carbs according to our friend Jorge. A better alternative he gives is a recipe for an open faced melt on wheat Pita bread. Oh, and I must lose my favorite Starbucks frothy Green Tea drink for a healthier version. Wow, I thought Green Tea anything was OK! Added bonuses include amazing testimonials, recipes and even Ab Toning exercises. I promised pairings with my book reviews, and here is this installment’s recommendation. As you read through the book enjoy one of my favorite white wines - Kendall Jackson Chardonnay while nibbling on Green & Black's Organic Chocolate Bar . Jorge Cruise will approve as he labels them “belly good” in The Belly Fat Cure: Discover the New Carb Swap System and Lose 4 to 9 lbs. Every Week ! Have a notepad handy as you browse the book and make a "new you" grocery list! Loyal readers can take this opportunity to win a copy of Jorge Cruise's great companion book:The 12 Second Sequence: Get Fit in 20 Minutes Twice a Week! Winning is easy. Leave a comment on what was your best or worst diet you've been on and why. Extra entry for followers. Two extra entries for tweeting! Hurry, as the promotion begins Thursday, Jan.14 at 11:59 pm ends Friday, Jan. 22, 2010 at 12 pm PST. One entry per household- 18 yrs and older. Remember to leave an email address so I can contact the lucky winner. First Book Review of 2010: "Angela's Ashes"
Goals and dreams mark the beginning of a New Year. The Chapter Two Blog is no exception. The focus will primarily be book reviews with a dessert or wine pairing recommendation. Wine pairing is always associated with food. Chapter Two believes that books are the food of the mind, thus our wine pairing concept evolved. “Angela’s Ashes” by Frank McCourt left a handprint on my heart. It is an unforgettable tale of an impoverished Irish Catholic childhood spent in the Limerick slums. Never has a book moved this avid reader so deeply. Eating a tasty meal and contently sleeping in a comfortable bed are things I could no longer take for granted after reading “Angela’s Ashes.” Oh how I wished to feed the McCourt children until their concaved bellies and hollow cheeks swelled with nourishment. McCourt’s writing was so clear and soulful, I felt one with the book – as if I lived in that squalor-filled apartment, too. McCourt effortlessly transported the reader back to his home in Ireland . It is a journey filled with tragedy and depravation, but McCourt’s underlying humor drives the reader to hope that little Frankie will indeed find the Irish luck he so desperately needs. No comfort is to be found in the church that governs their lives or a mother that is distracted with her own demons. It is the art of storytelling that is Frank’s only salvation and probably the reason why he was such a powerful writer. His mostly absent alcoholic father filled the boy’s mind with glorious tales of Ireland’s heroes of the past. It was Frank’s escape from his dreary life, if for just precious moments. As Frank McCourt finally sailed away to America, my hopes for a better life for him were a passenger, too. Like little Frankie, I am hungry, too after reading Angela's Ashes. I was craving to consume more of the McCourt family saga. He could not write the sequel - 'Tis: A Memoir - fast enough for my liking! It was followed by Teacher Man: A Memoir . 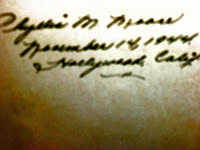 "Angeles Ashes" remains my favorite of his writings. My appetite for more McCourt tales wasn’t sated. When I happily discovered brother Malachy is also an author I read “A Monk Swimming A Memoir ”, and “Singing My Him Song .” Brother Malachy has a bawdy style of writing, while Frank's is melancholy. I grew up in an isolated area where reading was my family’s passion, and it still is today. They were thrilled when I gave them “Angela's Ashes ” for Christmas one year. Later, my siblings took turns reading my copy of “Tis”. I glance at my beloved McCourt books hugging one another on my bursting bookshelf. It warms my heart to know their story affected my family and in some ways, brought us closer as we shared our thoughts on the McCourts’ plight. The saddness of the McCourt journey and the devasting role alcohol played in it leads me to forgetting the wine pairing out of respect. While reading the book I recommend the pairing a cup of Irish Breakfast Tea and a modest serving of Irish Cheese . Cheers to the late great Frank McCourt. 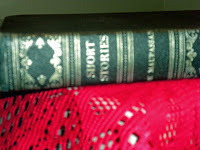 In my previous post, I blogged about finding a short story collection written by Guy du Maupassant. The orginal owner's name was scripted inside: Phyllis Moore of Hollywood, CA and dated November of 1944.
and black pumps . Women's homefront fashion was driven with a military influence during WWII. Books were a diversion and a splurge in wartime. I discovered that The Book Guild of America - who I thought was the publisher of the this book - was actually a mail order book club! So it appears that our Ms. Moore had a discretionary income as the yearly dues were about $16 annually - a small fortune in the 40's. I know a little more now, that the book was carefully chosen and I'm sure this luxurious purchase was treasured. I recall my mother joining the Double Day Book Club in the early 70's and how much fun she had selecting books. This was a real eye opener to me to hear about a mail order book club in the 40's. Who is Phyllis M. Moore of Hollywood, California? This is the first in a series of posts devoted to a find in an old bookstore. I’d love to own an antiquated book store filled with aroma of old leather and musty pages a la 84, Charing Cross Road . My shelves would be lined with rare books with gilded edges and embossed designs. I was browsing in such a store the other day . Gently I guided my fingers across the old books skipping along the bumpy bindings and golden letters stopping at “Short Stories” by Guy de Maupassant. A small but lovely book bound in black leather with gold lettering and flourishes. My heart skipped a beat as I enjoy reading and writing short stories. I opened it up and read it was published in 1941 by Blue Ribbon Books, 14 West 49th Street, New York, NY. The Book League of America, New York is also credited. My curiosity piqued and the next thing I knew I was in line to purchase this exquisite book for $6.98. The Oprah Show's own health guru is kicking off his new series on September 14th. Dr. Oz is our generation's mix of Dr. Spock, Dr. Kildare, Dr. Quinn and a dash of loveable Doogie Howser. His direct but compassionate style is just the television viewing our nation needs. Set your DVR for a series recording. Who knows? The good health advice Dr. Oz dispenses may save or improve your life! The loss of two Baby Boomer icons on the same day deserves a blog post. These two opposite sides of the mirror likely share something in common. Were they worshipped to death? Let's take his legal woes and accusations off the table for a moment. There is no denying that a vast majority of we younger baby boomers tap our feet and sing along when "Thriller" or "Billie Jean" plays on the radio. This same majority became a minority when Jackson's life began to unravel - but still his music was our secret guilty pleasure. We all watched Michael Jackson become the original Transformer as his appearance evolved from "pinch your cheeks he's so cute" boy to "The Invisible Man." In the coming days and weeks as this story unfolds, keep his children in your prayers as they no doubt become pawns in a tragic Chess game. Farrah Fawcett. Here is someone men wanted to be with - while women just wanted to be her. Oh, how I strived for my hair to look just like hers! I maneuved my curling iron into a blonde elongated tootsie roll and then used half a can of hairspray to keep it in position. Farrah was beautiful till the end. After watching "Farrah's Story" documentary, I learned she was just as gorgeous on the inside. Will these two icons meet up in afterlife? Will Farrah become Michael's Wendy in Neverland? Click above GRAPHIC to browse"LIVE LONG AND STRONG STORE" the latest products to optimize health & wellness inside and out! 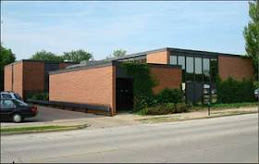 Commercial Building:This office building in Champaign, IL was $1.3 million- now $875,000! Click on photo for more pictures and information. Dr. Oz and Dr. Roizen books for ALL chapters of our lives!